Planning a June 2020 Florida holiday from Scotland or Belfast? The school holiday begins at the end of June, marking the start of peak-season summer prices. Advance book to be at the front of the queue when flights are released. Early bookers also get first choice of accommodation. This June 2020 Florida holiday is based on a group of 5 adults and 5 children. 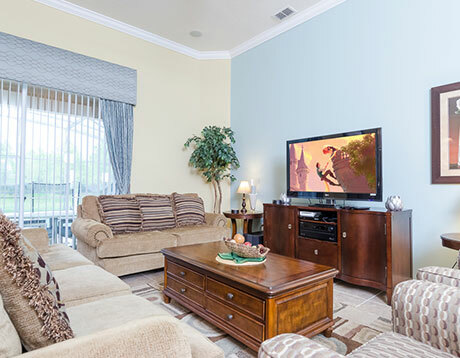 Orlando flights, villa accommodation and vehicle hire are included. If you have different requirements, get in touch. 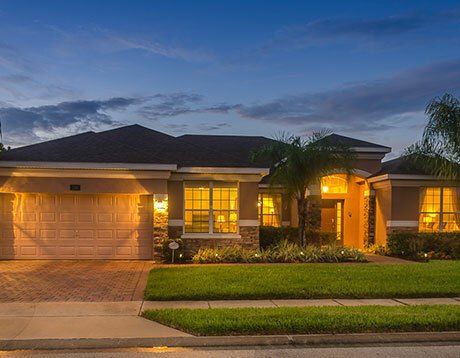 We can build the perfect June 2020 Florida holiday package to suit you. Florida flights take up a significant amount of your holiday budget. For best value, prepare to be flexible with departure dates and travel times. Contact us for a quote and we’ll suggest cost-effective dates. The United flights via Newark allow for a New York stopover. Spend a few days in Manhattan before flying onwards to Florida; the only additional cost is your hotel room. If you can’t find what you need, call us on 01934 319 851 or complete our online enquiry form. We’ll put together a June 2020 Florida holiday quote to suit you. This June 2020 Florida holiday includes 12-seat minivan hire. Pick-up and drop-off your vehicle at the airport. 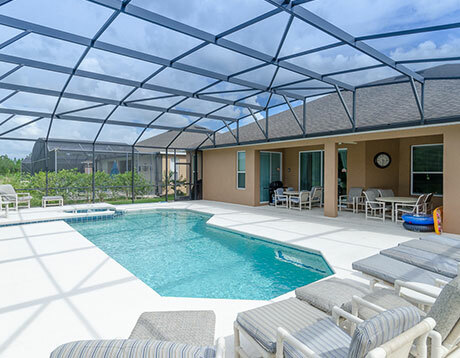 This June 2020 Florida holiday includes 14 nights in a 5-bedroom / 4-bathroom Watersong villa, complete with private pool, spa, games room and Wi-Fi. Watersong is a peaceful community with an abundance of natural flora and fauna. Close proximity to Interstate 4 provides easy access to shopping centres, theme parks, golf courses and the Gulf Coast. 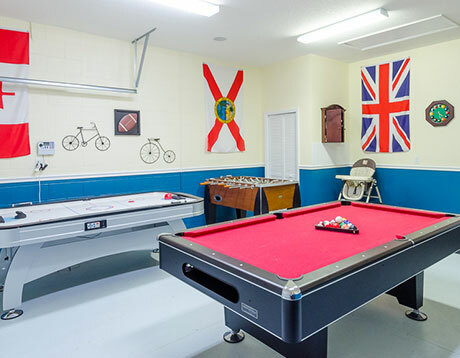 Facilities include a large pool, picnic area, children’s playground, basketball and volleyball courts. Prefer to stay elsewhere? We book all of the popular Florida resorts – let us know your preferences on our enquiry form. Our June 2020 Florida holiday is available from £945 per person, based on a group of 5 adults and 5 children. It includes late June or early July flights to Orlando from Scotland or Belfast, two weeks in a Watersong villa and a fully-insured vehicle. Irish and Scottish school holiday flights are in high demand. Don't delay – enquire now or call us on 01934 319 851. Book with a deposit of £100 per person – balances are due 90 days before departure. Looking for a budget-friendly June 2020 Florida holiday? Fly from Gatwick or Manchester direct to Orlando and stay for two weeks at the Blue Heron Beach Resort in Lake Buena Vista. Fully-insured vehicle hire is included. Can you fly before the school summer holidays? If so, take advantage of this early July 2020 Florida holiday, complete with direct flights, fully-insured vehicle hire and two weeks’ accommodation. 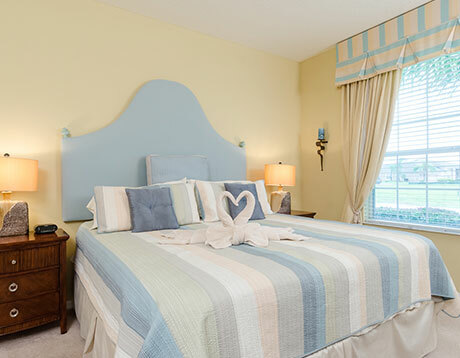 We’ve chosen the Cabana Bay Beach Resort, a stylish retro-themed family hotel. It’s a popular choice, but if you have something else in mind, call us for a quote. Looking for something different? Try our June 2020 Florida flights page. Discover the best travel dates and how to book Florida flights at a great price. We have advance fares for all the popular airlines. Book now on a low deposit.